Sinkology antique copper drains are hand finished coordinating beautifully with our copper kitchen sinks. Our kitchen drains are crafted from the finest raw materials by our team of skilled artisans. 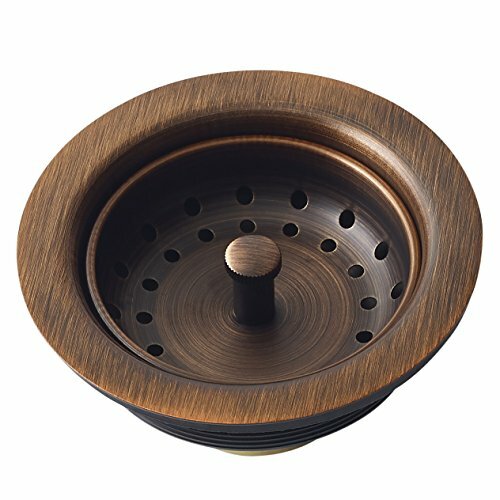 The Sinkology basket strainer kitchen sink drain includes a removable strainer and is designed to work with all kitchen sinks. Removable strainer keeps your kitchen sink free of food and other debris and built for quick and easy cleaning. Our kitchen sink drains are designed to be durable and built for a lifetime, every kitchen sink drain is protected by a lifetime warranty. Dimensions: 4.5" x 4.5" x 2" ; Drain Size : 3.5"